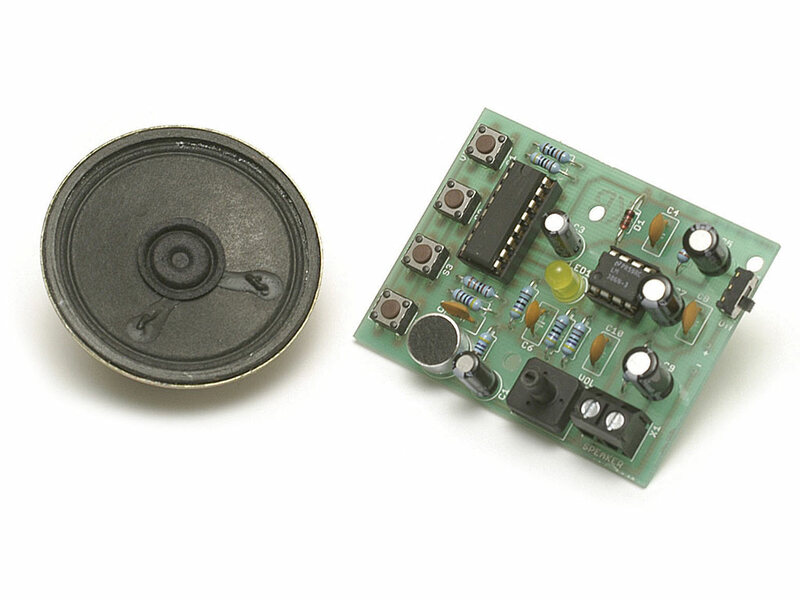 Sound like a robot or raise and lower your voice’s pitch with this fun kit. Comes with everything needed to make a voice changer, including a microphone and speaker. Fun and easy to solder with 47 parts. What can I do with this kit? Speak into the microphone and distort your voice so that you sound like a robot, add vibrato, or increase and decrease the pitch. With a built-in microphone and four easily accessed push switches, it’s easy to change your voice as you speak. This 47 piece kit is simple to solder for beginners and great for those looking to improve their soldering skills. With dimensions of 62mm x 49mm, you can fit this kit in almost anywhere. What can I learn from this voice changer? 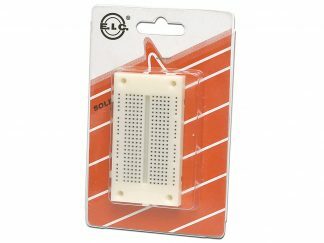 Practise your soldering and learn about soldering with this kit. The kit includes resistors, capacitors, microchips and switches, so you can see how they all fit into a circuit. 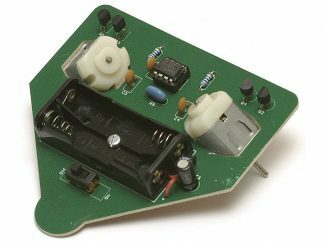 The voice changer uses four push switches to change the output to the included speaker. This kit requires a soldering iron and solder, and may require wire cutters. How easy is this kit to solder? This kit is fairly easy to solder. It’s an ideal choice if you want to improve your soldering skills or build a fun project. Once you’ve soldered your kit together, you can build a mask or speaker box to contain your voice changer and protect it – just take care not to block your input and outputs. The kit requires three AA batteries (not included).